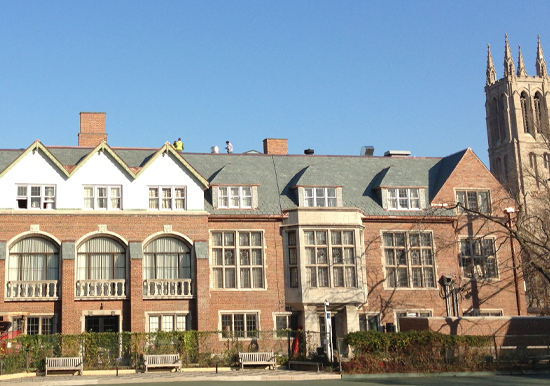 The Quadrangle Club is housed in a historic landmark facility originally designed by Howard Van Doren Shaw in 1922. This National Register of Historic Places building houses an exclusive restaurant, hotel, and event spaces. 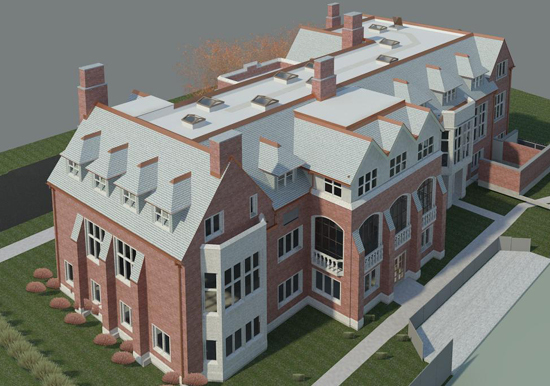 After over ninety years of stress on the building envelope and leaking walls, the University selected the ZS team to design and oversee construction for a complete exterior facade rehabilitation and roofing replacement. All phases of work were required to be completed during ongoing restaurant, hotel, and event space operations. Due to the sensitive nature of construction project on an active site, ZS provided full-time construction observation services and around-the-clock coordination. 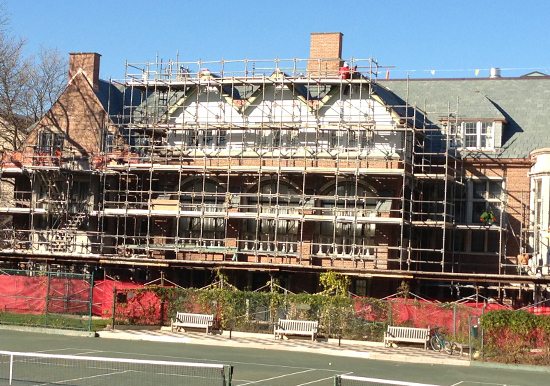 This project included full replacement of the graduated slate tile and membrane roofing systems, as well as 100% tuckpointing to all exterior masonry. 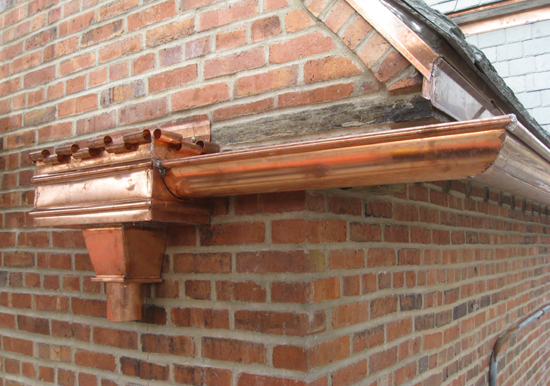 The University appointed the ZS team to perform a thorough condition survey of the building’s exterior brick/limestone facade and graduated slate roofs. 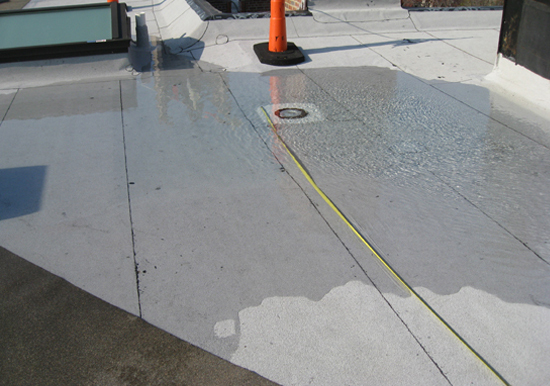 ZS developed remedial repair recommendations and probable construction costs to correct the existing deficiencies. 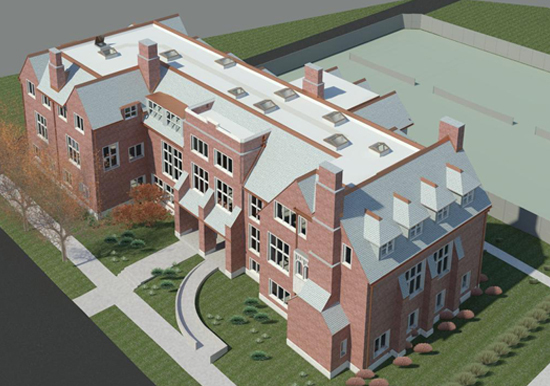 ZS prepared detailed design and bidding documents for the selected repairs, as well as a complete BIM model of the building envelope as part of the project’s historic preservation goals. 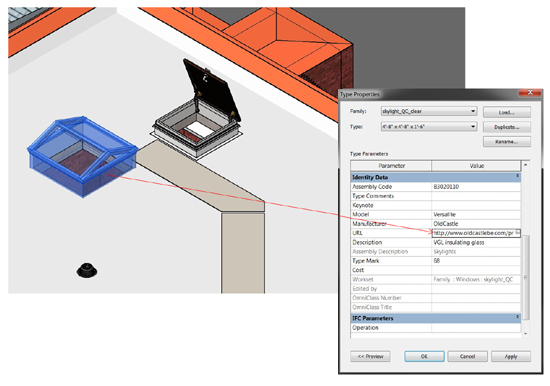 The entire project was documented with Building Information Modeling (BIM) to provide an active model for the University. This advanced record will allow future facility management staff to quickly access and utilize the integrated building model to quickly and accurately provide acute facility repairs, access warranty information, and reference historic material color matching.